Southern Stue is a Las Vegas based tribute to southern rock. 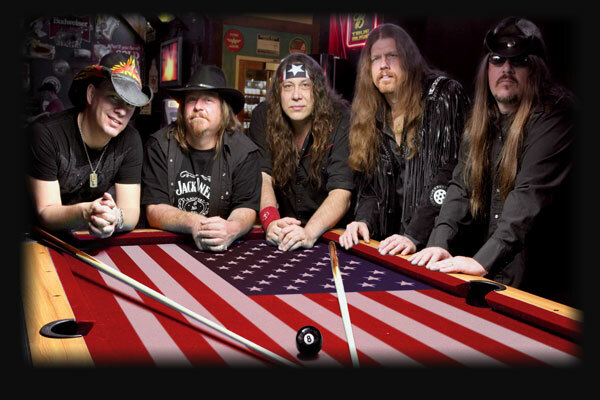 More than just a rock band, Southern Stue celebrates the lasting contributions to popular music from such bands as Molly Hatchet, The Outlaws, ZZ Top, The Allman Brothers, Charlie Daniels, The Marshall Tucker Band, and of course Lynyrd Skynyrd. As most rock shows in the Sin City Valley entertain their revolving clientele with broad wafts of a popular musical potpourri, Southern Stue focuses in on a style, groove, and tradition that has lasted in people’s hearts and speakers for over three decades. Southern Stue has been a fovorite show of Las Vegas locals since 2004. You can book Southern Stue for your next event just by clicking the "Book Them Now" button to the right and filling out the form. We will be in contact with you about their availability as soon as possible.